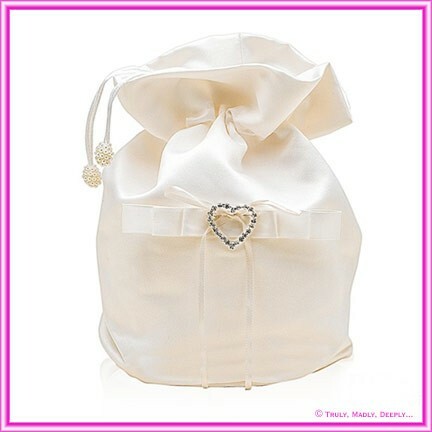 It feautures a Ivory satin bag with satin edged organza bow and a Heart diamante buckle. Bag is approx. 15cm in height and comes Flat wrapped so you can puff it up and ready to use for your beautiful Wedding Day.